New York: Alfred A. Knopf, 1991. cloth, dust jacket. 8vo. cloth, dust jacket. 211 pages. 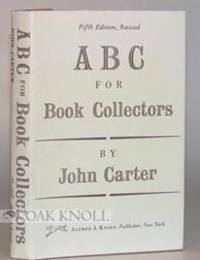 Later printing of the fifth edition of this classic glossary of terms for collectors and dealers.